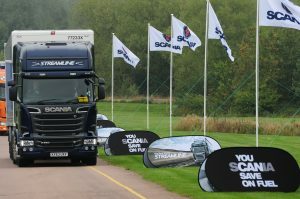 Approaching 300 visitors took the opportunity to test drive a Scania truck for themselves at the Commercial Motor Live event staged at the Millbrook Proving Ground in Bedfordshire recently. A total of six Scania vehicles were available for ride and drive at the two day show. These included three Euro 6 tractor units, comprising two Scania Streamlines and a G 410 distribution-specification truck, with a distribution rigid and two tippers completing the line-up. In addition, a new Scania Streamline cab was presented on our inside stand at the event. 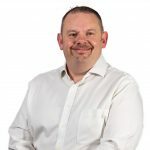 The unique appeal of Commercial Motor Live is that is enables guests to compare our trucks to those of our competitors over a variety of road surfaces – main and high speed roads in the case of the tractor units and distribution rigid, and off-road for the tippers. As Millbrook is a private test track, LGV licences are not required. After the event, customer feedback proved very positive – and we’re pleased to report the compliments were not restricted to our vehicles alone. 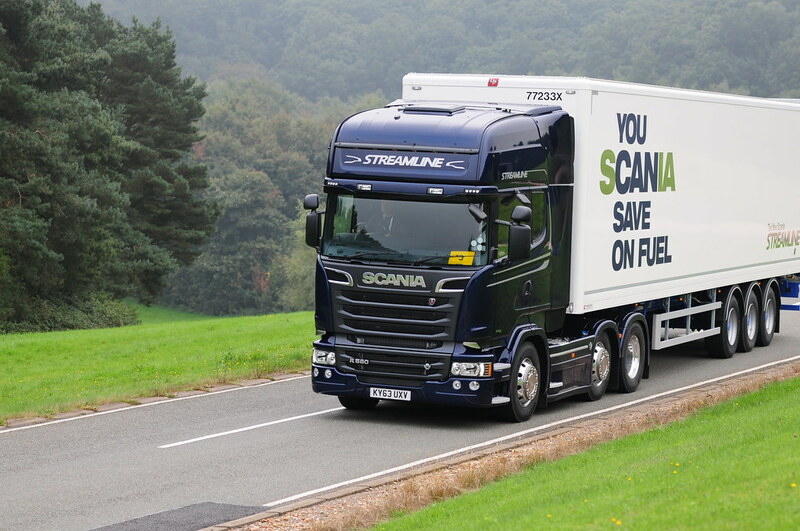 An online survey revealed that 80 percent of guests attending recalled Scania’s branding as being the most visible at the show (with the next nearest competitor scoring 13 percent) and more than 65 percent saying that Scania’s messages came through more clearly than those of any of our competitors.